The Philippine property market deserves a second look these days as it is now one of the top assets to hold as investment in the country, says Dutch financial management firm ING. Aside from being bullish on the Philippine main index stocks, peso and fixed income-related investments, property holdings in both residential and commercial space are good to buy and keep, notes ING’s head of research for Asia Mr. Tim Condon in a recent press briefing. Property is the most favoured investment outlet at the moment in the Philippines as this segment would benefit most from the “risk-on” mode attitude of investors on the country, according to Mr. Condon. The Philippines and Indonesia are currently enjoying a “ re-rating” or a favourable change in market perception, adds Mr. Condon. 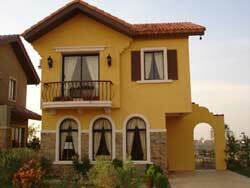 Global Property Guide’s (GPG) Research Team had taken note of the buy-to-let trend in the Philippines. GPG’s Research shows that buy-to-let rental yield average is at 8.62% and excellent buy for the long term. The good points of investing in Manila-based property, according to GPG are “high yields for luxury condominiums; a pro-landlord luxury market; strong expat rental market.